You may be wondering, how is AnimalHumanConnection.com related to DeathOfMyPet.com? 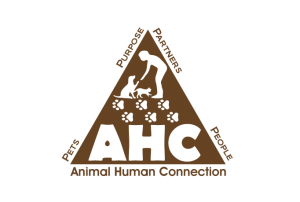 Animal Human Connection, Death Of My Pet and Artichoke Press are Veteran-owned legacy businesses with the Dwain and Judy Wright family. Our entrepreneurial family members are animal advocates, and we believe in respect for all living things. In addition to books, classes, certification process we offered Pet Grief Coaching and personalized tribute and memoir books. ArtichokePress.com is our media company that publishes our books and the manuscripts of other family friendly authors. AnimalHumanConnection.com celebrates all the seasons of the lives of our fur-friends and offers amazing courses, videos and a library of guides. Check us out! www.DeathofmyPet.com is directed to those of you who are in "anticipatory grief" or experiencing a death of your best friend. Thanks for being here and spending some time with us. You would not have been drawn to this site and our offerings had you not been a like-minded and kind person. Pets are more than just animals… they are our closest friends, constant companions, and integral members of the Wright family. Our family has always had pets who were important members of our “fur-family.” The like-minded people we have met at conferences and in coaching have shared their love for animals with us. Many like Sally (below) need extra support. Judy is uniquely qualified to help you. I am a certified life coach, and my focus is on grief, loss, and depression. I know how you feel because I experienced many deaths in our family and friends. I have volunteered with Hospice and done much research in the grieving process. Our businesses are part of many high-level and respected industry organizations, and we honor that trust. My books on these subjects are best sellers and well received. Click on the book covers on this page to have them delivered from Amazon, either digitally or in physical form. See the FAQ's about questions you may have about specific issues. If you or someone you love are facing a loss of a pet, imagine connecting with a wise, intuitive “Auntie” who knows how you feel. She has felt the same way—and can guide you in private sessions as close as the phone or computer. 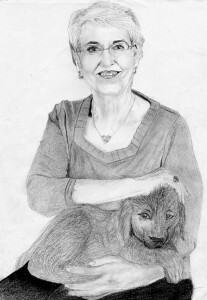 Judy hosts a radio show about Animal Human Connection has authored 20+ books on relationships and is a Hospice volunteer. PS. CONNECT! Contact Judy Helm Wright, a wise, intuitive woman and grief coach today at the contact form above or 406.549.9813 You will be glad you did. REACH OUT! Please join us on the opt-in above in the right-hand corner. Discover a wealth of community benefits & resources available to you. …Custom created and published "Tail Tribute & Memoir Of Pet Love"
"I have been listening to your programs in my phone through podcasts. I am going through the emotions of losing my beloved pet. It's been three weeks today and I feel so sad. My family is supportive but do not understand how I feel. They continue telling me to let go. I know in my heart that I will have another pet in my life because I love, love, dogs. I am deeply depressed and would love to talk to someone besides my family. Thank you for your show." Was the decision to euthanize your pet one of the hardest things you've ever done? Do you have an old or terminally ill pet who you cannot stand the thought of losing? Do you find yourself denying the inevitable or wondering how you will ever be able to handle the loss when they are gone? Is your child struggling to understand the death of their pet? Do you wish you could find the words to comfort a grieving friend or family member who lost a beloved pet, but you don’t know what to say to show your support without appearing to trivialize their pain? Did the loss of your animal best friend trigger unhappy memories or unresolved conflicts of loss from years ago? Did you find that you were more upset over losing a pet, than losing a parent or relative? Pet Loss Grief Recovery by Robin Jean Brown, that teaches specific steps of recovery from pet loss. Do you view your pet as a member of your family, your closest friend, and constant companion? Our pets help us to be better people and remind us to be kind and loving each day. They bring us a level of love that can never be replaced, just as their personality can never be replaced. Each day with our pet is special and brings joy to both the owner and the owned (sometimes it is hard to determine who owns who, do you agree?). ant in a friend and family member. 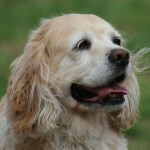 Loneliness – Taffy had been a part of our family for many years. Anger – She was such a good dog, why should she have to suffer the indignities of old age, incontinence, arthritis, and blindness? Helplessness – No matter what we did, we could not make her comfortable. Guilt – We were all so busy and there were many days she had to stay alone. She would look at us with such sad eyes when she had accidents on the carpet, but we knew it wasn't her fault. Sadness – We are all going to genuinely miss Taffy. Depression – Life just wouldn't be the same without her. Worried – That getting another dog would be disloyal to Taffy. Relieved – That she would not have to suffer anymore. Do You Resonate With These Emotions? If you are nodding your head in agreement, you recognize those feelings and have felt them before. You have seen other fur-families making tough decisions about their beloved pet crossing "The Rainbow Bridge"
No one wants to lose their pet. No one gets an animal anticipating the death of that companion. The head knows that we will probably outlive our pet, but the heart doesn't understand. You are going to be so glad you have chosen to join our community of like-minded people. But the fact is, pets are lost to accidents, disease, old age, or they simply wander off and never come home. It's finding ways to deal with the grief that will help you during the difficult time of losing your best friend. I have heard more than one person say this, and it is very common to hear in grief sessions. As with all relationships, the deeper the relationship, the greater the grief and feelings of isolation and sadness we feel when that relationship ends. This relationship may not be understood by those who de-value the friendship and love you shared with your animal. Because others do not respect your pain, it does not lessen it in your heart. For instance, one of the contributors to this book recalls being told to “Get over It. It was just a cat, not a child. Co-workers may not only misunderstand your sadness but urge you to hurry your grief. They cannot even imagine what an empty place in your home and heart that a pet loss causes. That's why I put together this resource site and a 153-Page Book just for you. 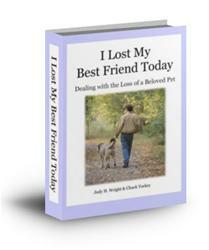 "I Lost My Best Friend Today- Dealing With The Loss Of A Beloved Pet" A wonderful book to read and share. Help You Stop the feelings of guilt and regret and start honoring your pet. Bring peace to your suffering by reading stories, insights, and advice from others people who love their animal friends. Show you ways to teach a child about death in a way that will give them life-long resilience and understanding. Share how to face the difficult decision to put your pet to sleep and the often mixed emotions of sadness, guilt, and regret that you feel afterward. Give ideas and suggestions of ways to honor the memory of your pet forever. Provide the right words to say to comfort a friend or loved one when they are grieving. Help your surviving animals deal with the loss of their companion. Help an elderly friend or relative deal with the illness or passing of their pet and closest companion. Help your child understand the loss of their pet and best friend while teaching them lessons about death that will last a lifetime. Help you relate to others who have experienced a similar loss by reading their stories and learning about the relationships they had with their pets. Provide comforting poems and quotes. Give guidance through the grieving process and learn steps that you can take to help yourself (or a loved one) heal. Help You Get rid of feelings of guilt or regret that may come with having to euthanize your pet, or not being able to save them. Provide tips and suggestions of ways to help keep the spirit of your beloved pet alive. When Chuck, my friend, and I set out to gather stories of pet lovers who had lost their best friends, I never expected the outpouring of sharing. I posted a request in a few blogs and asked for stories about pet loss and the stories, photos, poems, quotes and letters started pouring in. So many of the entries began with the same thing “Thank you for asking about how I felt losing my dog, cat, turtle, horse, lizard, etc.” This opportunity may have been the first time many of the authors had put their pain and grief into words. They cried when writing them, and I cried reading them. The love you feel for a pet is so unconditional and profound. Only someone who has loved and lost a pet can relate to how it feels. If You Are A Like-Minded Person, please keep up this connection…click here. P.S. There are lots of exciting books, classes, products, and podcasts coming up on the subject of Animal/Human Connection. So be sure to connect with us by clicking on at least one of the selections above. P.S.S. Do you have a pet story you would like to share? Submit it today at www.ilovepetstories.com with PET STORY in the subject line. We can't wait to read and share it! Thank you for joining our community of kind, thoughtful people who have respect for all creatures. Don’t forget to like us on Facebook, follow us on Twitter, and follow us on Instagram! Also, check out my weekly radio show on the Animal/Human Connection!